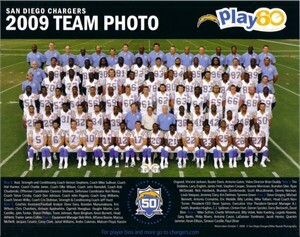 2009 San Diego Chargers 50th Anniversary Season official 8x10 team photo. 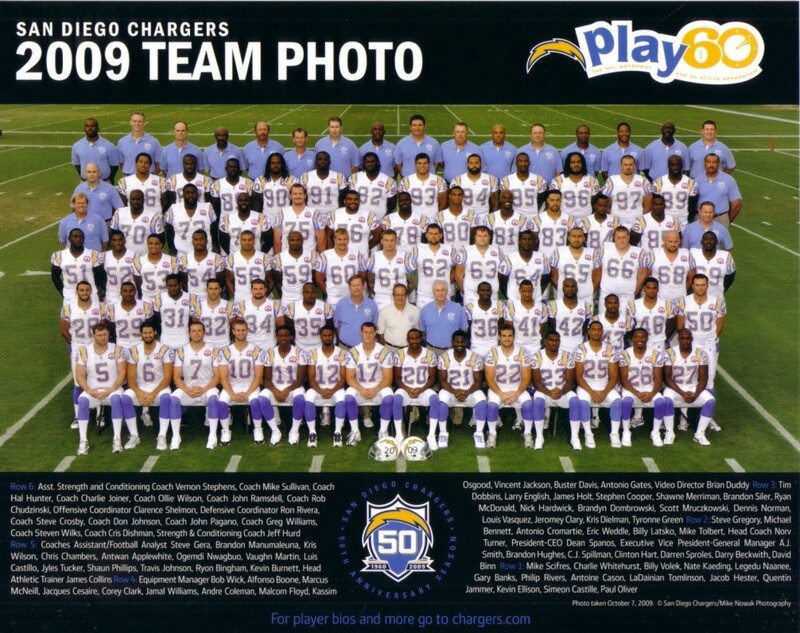 This was the last Chargers team to include future Hall of Fame running back LaDainian Tomlinson. NrMt-Mt.